This week’s theme is Dark. Hmmm… lots of different ways to interpret this week’s theme. One of the darkest places that I’ve been is a cave. Here are some shots from Jewel Cave. 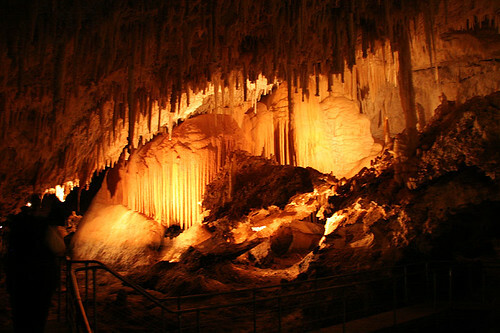 This is the largest of the limestone caves in the Margaret River area of Southwestern Australia. We visited it in 2006. It was dark, cold and damp but also beautiful. 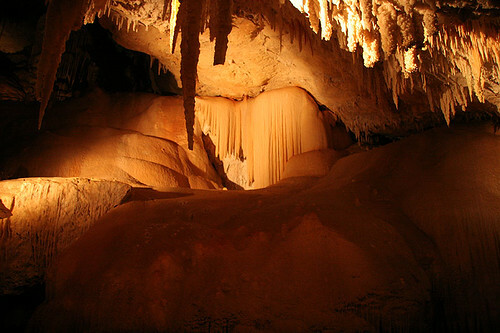 It has some of the largest straw stalacities. It wasn’t fully explored until 1958. Unfortunately, it is currently closed for redevelopment. Here are some more shots of the cave along with a couple of other shots taken in the dark during our stay in the Margaret River area. I love wandering about in caves (providing I don’t get lost, of course). The way your light dances about on the rock formations is always so eerie. Great shots for this week’s theme. Great takes, especially the caves and sunset. Happy Halloween! Wonderful photos. There’s something so spooky and also so cool about caves. You got some amazing shots in these. Hope you have a great Halloween weekend. Hi Marta, wow these photos are amazing! What a fascinating place to visit. Incredible….great choice for this week’s theme. Wow that is an amazing cave. Perfect for the theme! I haven’t been inside a tourist cave in years and years. And especially not in Australia, cuz I’ve never been there. Would love to visit one day. There are a few tourist caves in NY state and on a trip to Portugal we visited a couple in the north. my dark theme is on my sari blog. What a beautiful cave. You took some great shots and I love the one of you. 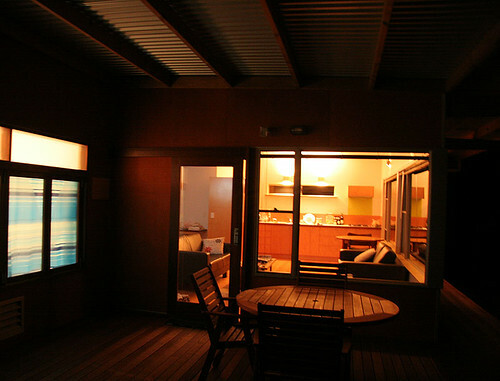 The cabin and sunset are also great. Happy weekend. Some of the most interesting things are in the dark. Love the portrait. 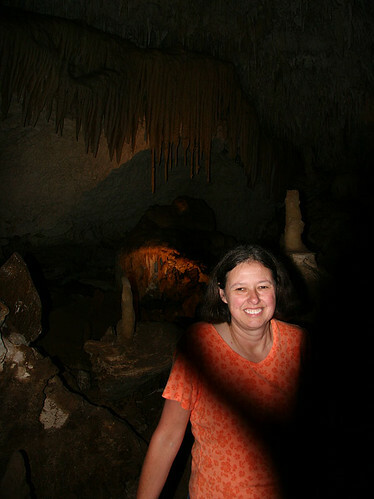 Marta, Amazing photos of the caves. 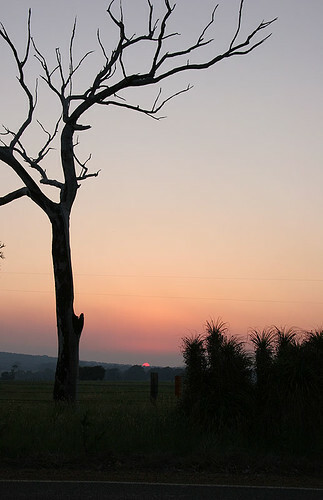 Love the sunset one too. I wonder if you have ever passed my sister on one of your walks, she lives in Edmonds and walks all the time, and funny she is heading for the big island this weekend. I will be house sitting for her, while she is on the beach!! Hope you have a great time. Wow, those caves are amazing!! 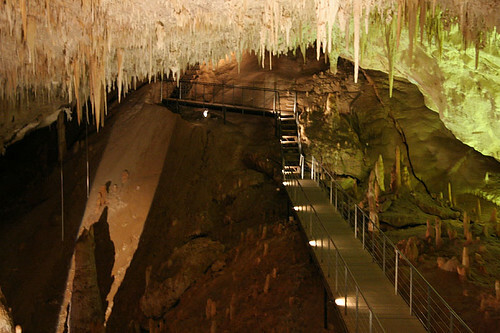 I’ve never actually been in a cave of any size…hope to explore one someday though. This is a great take on the dark theme, and the eerieness of the caves fits with Halloween as well! Fascinating cave and gorgeous sunset! !